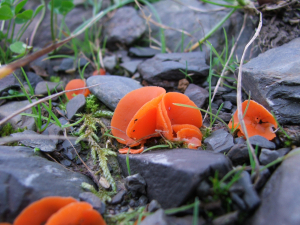 Observation - Orange Peel Fungus - UK and Ireland. Description: growing on stoney ground by a river. growing on stoney ground by a river.